Selecting an SEO firm to work with is a careful process that requires thorough investigation and analysis. You need to know the capabilities of your firm, determine their limitations, and gauge your compatibility with the provider you select. You will be working with your SEO provider very closely, which is why you need to make sure that the partner you choose understands your business goals and that you share the same attitude towards working together. The following tips should help you decide if we are the right SEO firm for your business. These should also help you when evaluating other SEO firms for competency and compatibility with your business. This is what will happen if you don’t choose your provider carefully. 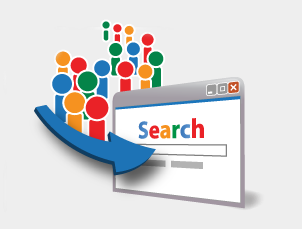 Determine what solutions you really need before you go out and talk to various search engine optimization firms. Are you simply looking to redesign your website to make it more SEO- and user-friendly? Do you want an aggressive search optimization campaign, social media management, or paid search solutions? Or have you been hit by algorithm updates and you need a website audit and link clean-up? Knowing what services you’ll be needing will help you limit your choices to the agencies offering these solutions. If you’re not yet sure of what services you need, define your goals. What exactly do you want to achieve – an increase in leads, a boost in sales? What period are you looking at for achieving these goals? This information will be useful for gauging whether we can deliver the results you want, and it’s a good starting point for negotiating the service levels we will provide as your SEO firm. We want you to feel at ease when you choose us as your provider, which is why we encourage you to research before you make a decision. It’s important for you to shop around and compare solutions in order to see where the differences lie. Most agencies offer free consultations in order to demonstrate their capabilities initially. Make sure to ask for a proposal and pricing schedule and listen to their suggestions in order to analyze more accurately. The best way you can tell if a firm can get the job done for you is to look at what they did for similar clients. Requesting case studies about clients in similar industries helps you understand the process that we will be using for your campaign better. You will see the strategies and preferred platforms, the results after the tasks are completed, and the results that can be traced back to each step of the process. It’s important for you to choose a company that either specializes in your field, or a provider that has at the very least done online marketing for clients in a similar field as you. This ensures a more accurate understanding of your goals and proper selection of online marketing solutions. When interviewing different SEO companies during your search, make them tell you stories about their experience as SEO firms. Looking at their technical qualifications and listening to recommendations from your peers will only go so far as tell you how competent they are and how much they know about their methodology. Asking them to tell stories will help you measure your compatibility better. Ask questions like “What do you consider your best campaign?” or “What was your most challenging task and how did you deal with it?” in order to gauge their reactions and their attitude towards different tasks. We do the same to our clients – we ask questions and let them ask us in order to ensure compatibility on both ends. These four basic tips are a good base to work with when shopping around for a search provider. We’d be very happy to answer any questions you have and discuss strategy with you. Talk to us today and we’ll show you what we can do for your business.